Playing Catch Up… – Go Blondie! First the good stuff, if you have been following my blog you will remember in my One Piece at a Time… Literally post, I mentioned the Christmas gift I got Carl through the Amazing Clubs site. I put together a variety club of the month gift for him. I did a 3 month membership, first month he will get beer from microbreweries around the states, secondly, he would get fancy cheese and thirdly he will be getting cigars. This past week he received his Beer of the Month! 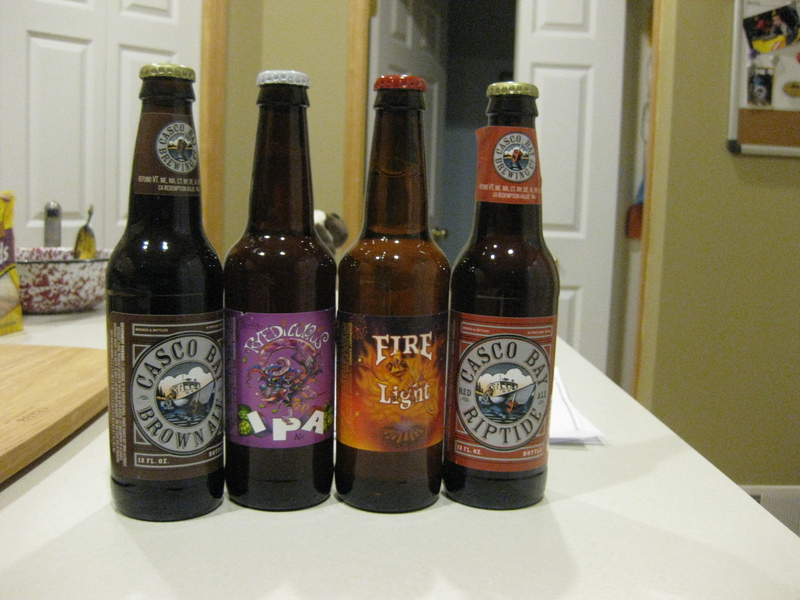 Two of the beers are from Casco Bay Brewing Company in Maine and the other two ironically are from Chameleon Brewing Company in Glendale, Wisconsin. I can’t wait for the cheese to come! Yum. We have been trying to put our home together. 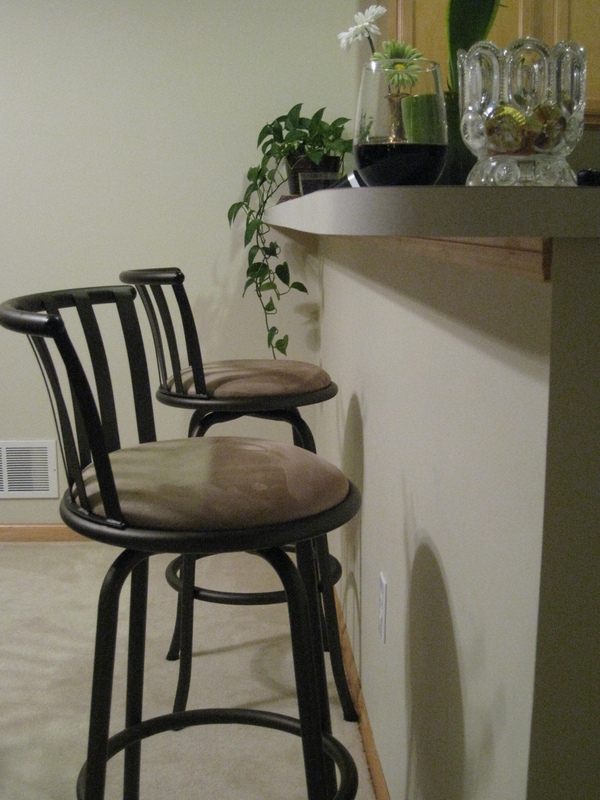 We purchased two nice hightop barstool chairs for our dining/kitchen area. It has taken us a while to find the ones we would like. We went to Target yesterday and found some that were reasonably priced and look good. 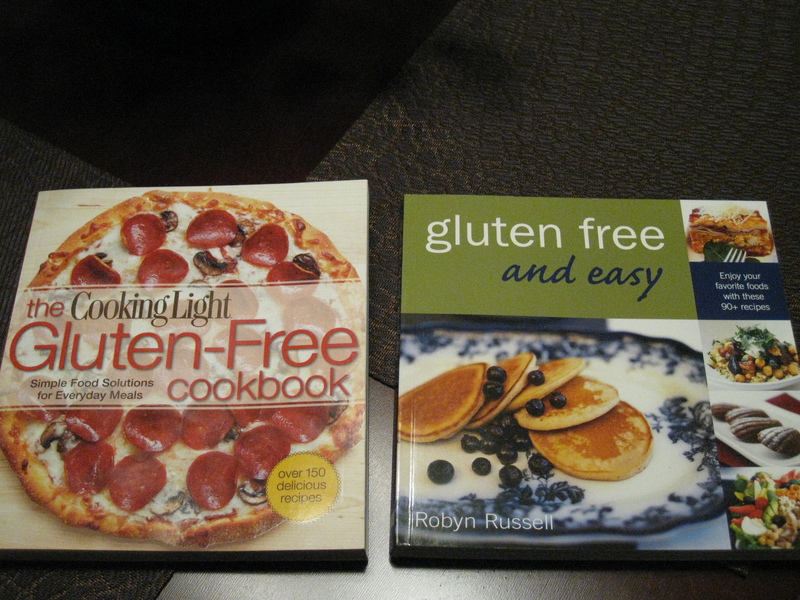 Now that I am gluten free, I figured I should get a cookbook or two and see what recipes I can find. 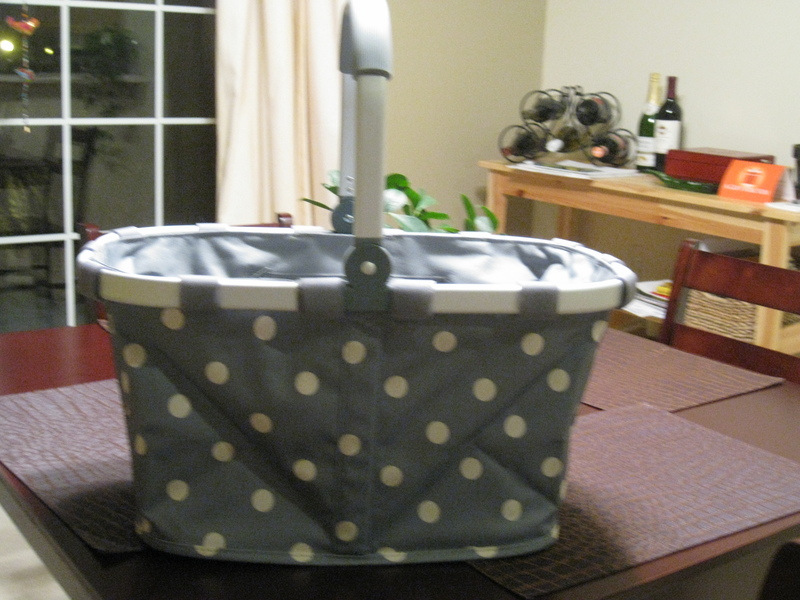 Oh, I can’t forget the cute so very useful carrying bag my sister gave us as a housewarming gift! I can’t wait to use it! 🙂 It will be nice for traveling or just running errands. I’d put the beer in the basket, grab the cookbooks and run off before Carl sees what’s going on! They are starting to make quite a few gluten free beers, but I’d rather have wine anyway so who cares!